What is Vastu Shastra? - Vaastu Shastra, Vastu Shastra based on Ancient Science, Indian Vastu Shastra according to The directions - The importance of orientation of a building is not only for saving energy but also to have a better healthy house design, which not only gives comfortable living but also gives good health, prosperity and wealth to the house owners/occupiers and these families. 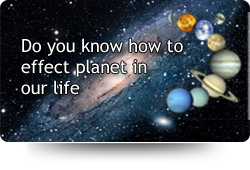 There lies a co-relation between the rotational scenario of the planets and the house design and their different directions with respect of NORTH. The building of any type and its construction meets the purpose if proper orientation has been given using suitable local building material. It increases not only its life span but also improves the condition of occupants. There are instances where buildings are not planned according to required local orientation were lost or deteriorated much faster then the buildings having built with proper studies of orientation. The proper orientation means the proper knowledge of all the eight directions. It is a common knowledge that the direction from where the Sun arises is known as East (Poorva) and where it sets as West (Paschim) and when one faces the East direction, towards one's left is North (Uttara) and towards one's right is South (Dakshina). The corner where two directions meet obviously is more significant since it combines the forces emanating from both the directions. According to Shastras if we worship, revere and respect the Lords of these eight directions, they will shower on us their blessings and benefits. Let us examine their importance according to scriptures.